LifeFLOW3D @ Libre Game Wiki! 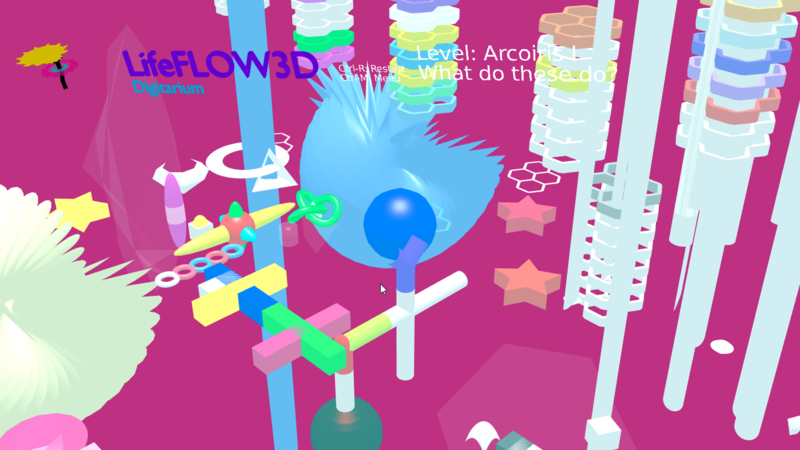 LifeFLOW3D is now featured over at Libre Game Wiki! Check it out and make some improvements! Read more about LifeFLOW3D @ Libre Game Wiki! LifeFLOW3D Digitarium lets you play with moving software creatures, as they float about and explore their lush environments. Download and play at GameJolt! Project page at GitHub. LifeFLOW3D Digitarium is released under the viral GNU General Public License 3.0 license, which guarantees you the freedom to use, examine, and share the software. Learn more about LifeFLOW3D and download it at GameJolt! You can view the new GitHub page here. To build LifeFLOW3D, you will also need to download the freely available Blender. Please send any questions or comments to eagle@eaglegamma.com. Now out! LifeFLOW3D Digitarium version 1.0! Read more about LifeFLOW3D Digitarium version 1.0! Read more about LifeFLOW3D - Fants! Please download, play, and let us know what you think! Read more about LifeFLOW3D Digitarium Beta! Please let me know what you think, life@worldsowisdom.com.